This Introduction to ECG & Pharmacology ACLS Prep course is designed to review selected ACLS topics and may be helpful in preparing for an initial or renewal AHA ACLS provider course. It may also be helpful for anyone who wishes to feel more comfortable in cardiac emergencies. Basic cardiac rhythms, emergency medications, and the use of those medications in emergency situations will be reviewed in Introduction to Pharmacology. This is not an ACLS Provider course and an ACLS Provider card will not be issued. 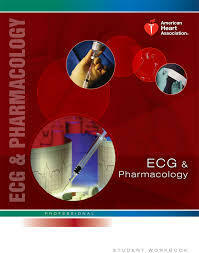 This course is intended for review of ACLS content. Student workbook included and will be available on day of class.